‘1. 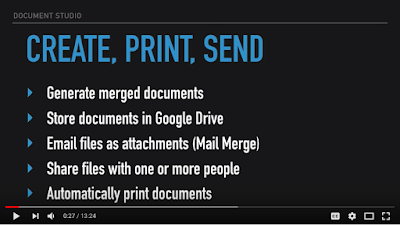 Add the source data in a Google Sheet or import from Excel and CSV files. You can also create documents from new Google Forms submissions. 2. 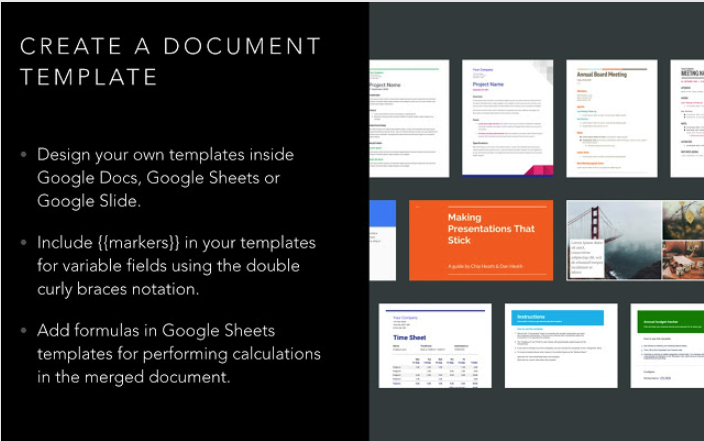 Build your templates with markers in Google Docs, Google Sheets or Google Slides.